Product prices and availability are accurate as of 2019-04-24 05:41:03 UTC and are subject to change. Any price and availability information displayed on http://www.amazon.com/ at the time of purchase will apply to the purchase of this product. An innovative new magazine full of learning and fun for today?s preschoolers and their parents! Bursting with lively photographs, engaging stories, and interactive picture games, each issue supplies you with fresh and imaginative teaching tools created by noted educators at National Geographic. 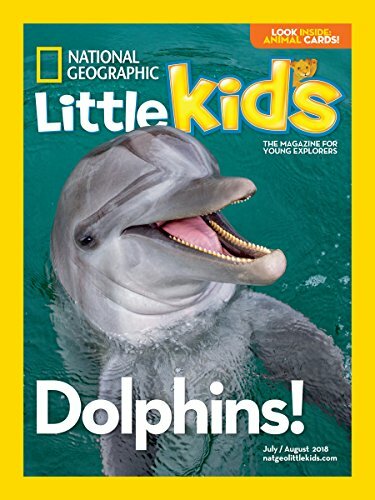 Enrich your child's appreciation of the natural world with National Geographic Little Kids magazine. This magazine is primarily aimed at preschoolers, and kids from ages three to six will enjoy the content. It includes articles on animals from around the world, science, and cultural topics discussing life in other countries. The large text and engaging full-color photographs in National Geographic Little Kids magazine help beginning readers explore the content on their own, and exciting activities throughout the magazine keep your child's interest so learning becomes fun. Some of the activities you can expect to find include age-appropriate mazes, matching games, counting exercises, and rhymes. Each issue also includes things parents and kids can do together, such as crafts, science activities, and recipes to try at home. 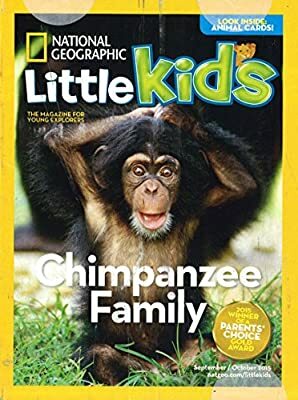 National Geographic Little Kids magazine is ad-free, so you can feel secure knowing your child isn't unduly influenced by advertisers while enjoying the articles and activities. It also includes questions for parents and kids to discuss the topics further, so you can use the content as a starting point to more in-depth investigation of things that spark your child's interest. The magazine comes six times a year, bringing new topics to your mailbox every other month to inspire your child's imagination and get him or her excited about learning more about the world. Whether your little one is already fascinated with nature or you want to inspire a greater interest in the world, National Geographic Little Kids magazine offers a fun and fascinating way to teach your child about animals and plants, other cultures, and science.